With traffic being the way it is, you know that having a vehicle that can provide comfort would be invaluable. 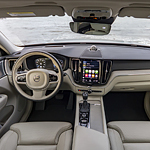 This is one reason why Volvo Cars Annapolis is proud to highlight some of the Volvo V90's interior features. Perhaps one of the most exciting yet practical interior features of this Volvo is its cushioned seating. The seating is a combination between cloth and leather, making it feel plush without sacrificing durability. Spring is here, and many people are beginning to get outside and wash their cars! Are you one of them? If not, then Volvo Cars Annapolis wanted to remind you that washing your car is an effective way to get the most out of it! For Annapolis drivers who believe that safety should always be a top priority, the new Volvo XC60 might just be the perfect vehicle. This popular luxury compact SUV is simply jam-packed with features that are designed to keep the whole family safe and secure. 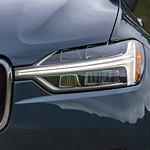 The 2019 Volvo V90 is a powerful and roomy crossover SUV. 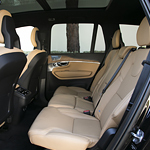 This vehicle is made to promote driver and passenger comfort as well as overall performance. To this end, this stylish vehicle includes many power centric features such as large motors and advanced suspensions. That said, the 2019 V90 also includes several internal systems that work hard to improve driver awareness and thus performance. These features include highly visible display systems as well as adaptive mirror systems. When our team at Volvo Cars Annapolis got delivery of the Volvo XC90, we wanted to take time to share what we found with our customers. This popular luxury SUV is full of safety features that make it the must-have vehicle this year. The way that the Lane-Keeping System works in the Volvo XC90 is by using radar sensors to monitor the exact position of the SUV at all times. If drifting out of the lane occurs, the steering wheel begins vibrating until the driver gets back control of the vehicle in a timely manner. The ability to see when the weather conditions take a turn for the worse is one of the most important parts of driving. And you also want to be able to appreciate the beautiful light on temperate days. 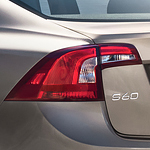 With the popular Volvo XC60, you get special features that will make seeing easier and enjoying nature an option, too. Every ride through Annapolis will be fun if you're driving the Volvo XC40. This sought-after luxury subcompact SUV has all the technology you would ever need to stay entertained. 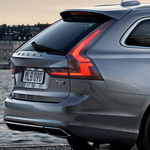 It's available at Volvo Cars Annapolis with a feature-rich infotainment center and a high-quality sound system. Luxury wagons have long been the car of choice for families and weekend warrior alike thanks to their increased amount of cargo space as well as wildly popular exterior features. They have a look about them that just draws driver in. That is why our experienced team at Volvo Cars Annapolis is so excited to tell you all about the brand new 2018 Volvo V90.